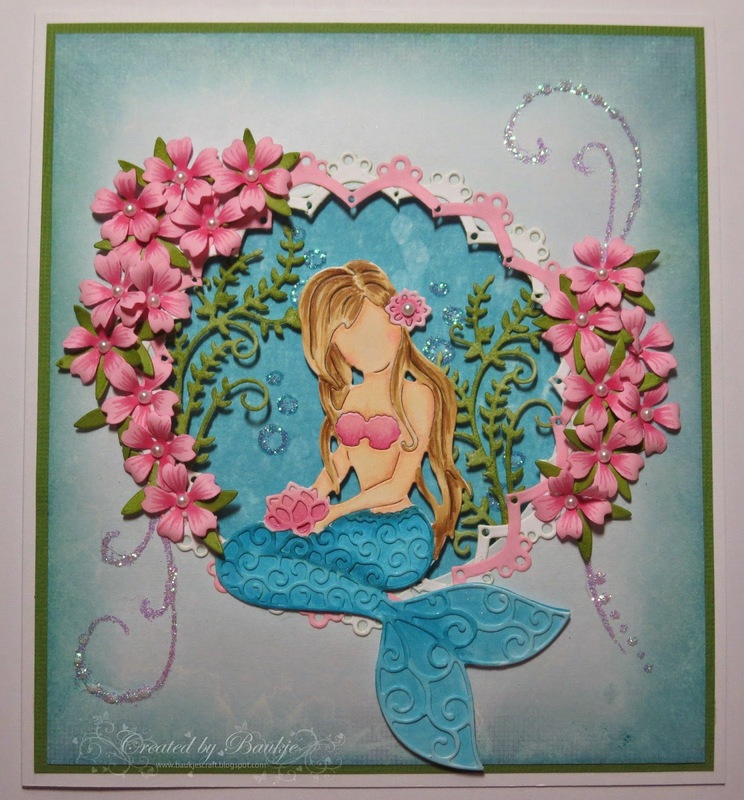 I have another card to share that I did for Kaaren's card Gallery at FATCATS card corner. The pot I used is from the Marianne Collectables Flower Pot and Flower die and stamp set to which I sponged a slightly darker green ink. The little tag is also from the same set. I added a bit of shadow beneath the pot with a copic marker. 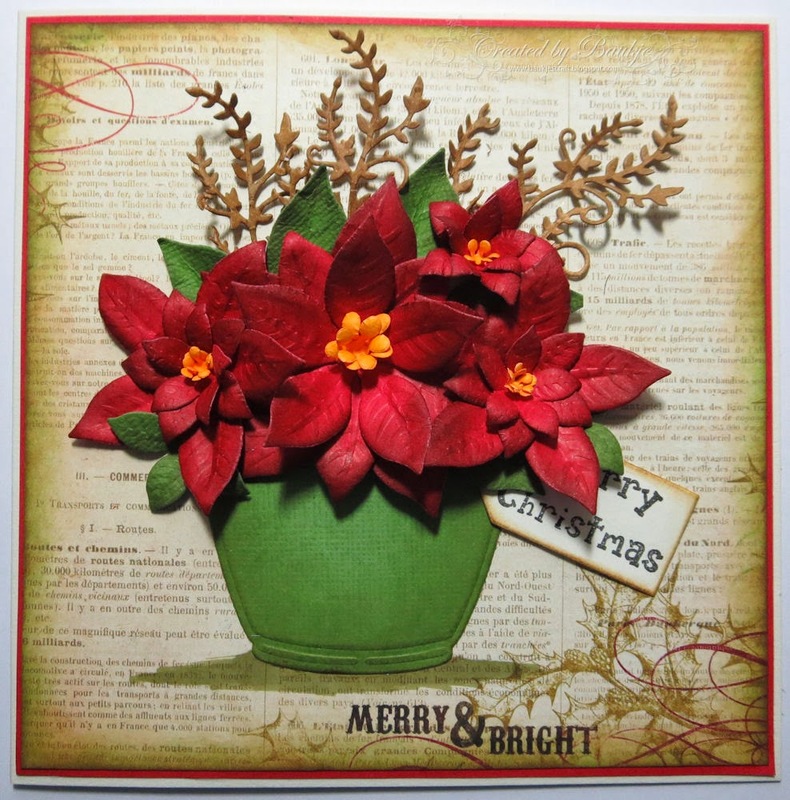 The poinsettias are a combination of the Marianne Creatables Large RR0122 and Small LR0142 Die sets, I also lightly sponged them with a slightly darker red ink pad. The fernery is the Cottage Cutz Fall Vine die. and I've used my copics to colour her. The flowers are the Cheery Lynn Sweet Christine die, which I just gave some very basic shaping to and added the colour with copics, I love this little die the flowers are such a great size for cards. 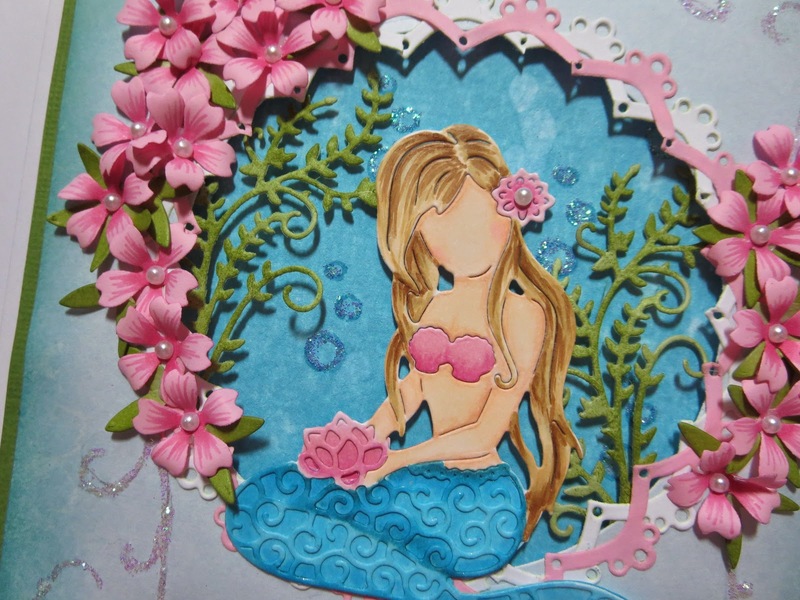 The “seaweed” behind the mermaid is the Cottage Cutz Fall Vine Die.